Cryptocurrency adoption rates constantly rising in Venezuela. Why? 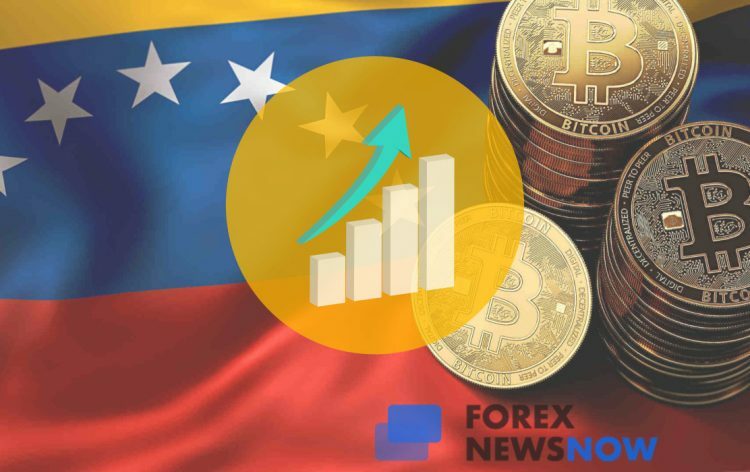 Home - Forex Analysis - Cryptocurrency - Why is cryptocurrency usage on the rise in Venezuela? What does this mean for other struggling countries? Why is cryptocurrency usage on the rise in Venezuela? What does this mean for other struggling countries? A lot of people around the World are still on the fence about cryptocurrencies. The new technology has amassed a somewhat dubious reputation due to claims that it’s an economic bubble. One of the other reasons are the allegations of widespread usage of crypto in the drug trade, money laundering, and illegal dealings of all kind on the Dark Web. Even so, after the rocky road that crypto had to endure in 2018, it seems that things are looking up for the technology. Recently, the crypto community has seen a significant increase in interest from the world’s leading companies. Corporations like IBM, Samsung, VISA, and many others are starting to embrace cryptocurrency. These recent shifts could indicate that blockchain is not too far away from cementing its legacy. Cryptocurrencies could soon become an integral part of the global economy. Due to their speed, low cost, security, and scalability, crypto tokens could become a new standard in the world of tomorrow. Cryptocurrencies have faced widespread criticism, government regulations, and outright bans internationally. However, they have also proved very useful for certain groups of people. And no, we’re not talking about the criminal underworld. Venezuela is a country in South America that’s rich with resources, has a stunning nature and great people. All of that is rendered pointless, however, due to the fact that the country is almost comically mismanaged. After Hugo Chavez’s reign of terror and failed, aggressive socialist policies in general, Venezuela was left in shambles. Rampant government corruption also took its toll. As a result, the country’s native currency Bolivar has lost pretty much all of its value. To buy a single cup of coffee in Caracas, you’ll have to pay nearly 3000 bolivars. This amounts to a measly 30 cents. The national currency lost nearly 100% of its purchasing value. You could buy coffee for 0.75 bolivars in the country just a year ago. And that was after the currency had been already devalued before. These sort of cataclysmic events always lead to mass migration. As a result of the collapse, over 3 million Venezuelan citizens have already fled the country. Venezuela may still have 30 million left, but if the trend continues, that figure may start decreasing rapidly. The mass migration coupled with the economic breakdown caused essential supplies to become either unaffordable or unavailable entirely. People can’t even buy basic medicinal supplies. This, in turn, caused crime rates to skyrocket. Robberies and criminal dealings of all sorts have become rampant throughout the country. The fact that this happened to a country with the largest oil reserves in the world, proves just how insatiable governmental corruption and incompetence can be. Venezuela has more barrels of oil than Saudi Arabia. It’s hard to wrap your head around how this was even possible. Is cryptocurrency a safe refuge for the disgruntled population? After seeing their currency plummet, many Venezuelans have turned to cryptocurrency assets like Bitcoin. Evidently, crypto has allowed them to avoid using the bolivar. Given just how volatile cryptocurrencies are, it’s hard to imagine the level of desperation Venezuelans have reached. Cryptocurrency usage has seen an unprecedented rise in the country ever since the economy collapsed. A lot of people use Bitcoin and other cryptocurrencies to send money to and from the country. The people who fled Venezuela and are working elsewhere, employ Bitcoin to transfer money back home and feed their families. This tactic allows them to avoid the high fees usually charged by traditional providers such as Moneygram or Western Union. Provided that in most cases these people work for very modest wages, not having to pay extra for transferring their earnings would make a world of difference. Cryptocurrency offers people like that a degree of control over their finances. And there’s many of them. A lot of people who fled the country were forced to leave their families behind. By using crypto, they’re able to send money home much faster, without a hassle and without having to leave a hefty portion of the money in the transfer office. Since Venezuela shares a border with Colombia, it’s no surprise that the country receives thousands of refugees and immigrants every single day. For Venezuelans working in Colombia and supporting families back home, a new crypto ATM was recently unveiled. Its purpose is to make transferring the money even safer and easier for these people. “With the ATM, Venezuelans can receive bitcoin from anywhere in the world and cash out in Colombian pesos right away,” says the company that installed the ATM. Inside Venezuela itself, a lot of people are employed as freelancers. They get their wages paid in Bitcoin in most cases. One of the reasons for that is that most of them don’t have a valid bank account outside Venezuela’s borders to receive the money in dollars. Plus, crypto allows their employers to bypass additional fees associated with paying the workers. Pretty much all of the population thinks that getting paid in bolivars is nonsensical at this point. The people are paid instantly, the employer is charged next to nothing, and there are benefits all around. Later, the people simply exchange their tokens on the internet and transfer bolivars to their local bank accounts. Then they just use the money in a regular way. Well, if paying 3000 bolivars for coffee can be considered that. Bitcoin is a decentralized, international method of payment that allows its users to circumvent banks and governments. All of the transactions conducted on the blockchain distributed ledger are stored securely. The coins are stored in “wallets” or on trusted cryptocurrency exchange websites. As we mentioned, the value of Bitcoin and other digital coins changes often and drastically. In short, the coins cost as much as people are willing to pay for them. This has lead to cryptocurrencies having a mixed reputation. Venezuelans, however, don’t seem to care. To them, Bitcoin and other cryptos are still a much-preferred alternative of storing value than the country’s native currency. Cryptocurrency usage rates in Venezuela are challenging those of the United States. The volume is nothing short of mindblowing. But even that is no longer a given for the country’s population. Just a couple of weeks ago Venezuela experienced a near complete power outage. Another rampant display of just how mismanaged the country is. This meant that the population was forced to live in darkness for several days. Before that, in February, the trading volume reached nearly 9 million USD a week. What’s the government’s involvement in the trend? The government tried to keep up with the trend. Nicolas Maduro, the successor to the inhumane regime of Chavez and a member of his inner circle, authorized the creation of the Petro cryptocurrency. Petro was supposed to be backed by the country’ oil reserves and become a way out of the economic and political crisis. As expected, the coin is widely believed to be a PR stunt, as there’s zero evidence that anybody uses it. There’s even less evidence that it has or will have any significant impact on the state of the country. Since they were unable to stick their hands in the crypto honey pot, the government promptly turned to more dubious methods of capitalizing on the trend. Evidently, they felt that Venezuela’s population had it too good with the cryptocurrencies. To amend that, they launched a remittance service. This puts a cap on the cryptocurrency a Venezuelan resident is able to receive and allows the government to leech commissions from the conducted transactions. What’s in the future for Venezuela and its relationship with Crypto? After Chavez passed away in 2013, Nicolas Maduro took office as the leader of the country. The man has somehow managed to plunge the country so deep into chaos, that now, after Maduro allegedly entirely falsified the 2018 presidential election, the post is heavily disputed and many experts believe that a violent government overthrow is incoming. Given that the government appears to have no solid plans of turning the situation around, this seems like the logical development. The country has reached the point of desperation which will likely prove unsustainable for the tyrannical government. And given that the US is also heavily considering intervening in the situation, the days of Maduro’s regime are probably numbered. Even if the current government is overthrown, it will take Venezuela years, if not decades to build its economy up. The country will face significant challenges on its way to rebuilding and it’s not going to be easy. Considering this, it seems that as far as Venezuela is concerned, cryptocurrencies are here to stay. It’s unknown when bolivar will recover. And even when and if it does, by that time the cryptocurrencies and related technologies will likely be employed to such a wide degree in Venezuela and around the world, that their usage will hardly decline.